Quickbooks recently announced a price increase, and since this is our favorite software I thought I would share how this affects (or doesn’t) you! Any Steadfast client (whether monthly or quarterly) gets their monthly QBO subscription included with their monthly rate so they no longer have to pay this fee themselves and are not subject to the increasing rates. Pretty awesome for Steadfast Bookkeeping clients, am I right? 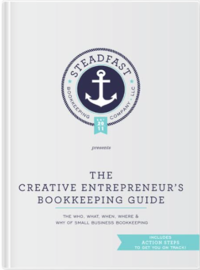 Reach out now for a consultation about how Steadfast can streamline your bookkeeping. « Celebrating Steadfast Bookkeeping’s 5th Birthday!